Home / Stories and Information / Buying Tips / Pearl. The June Birthstone. 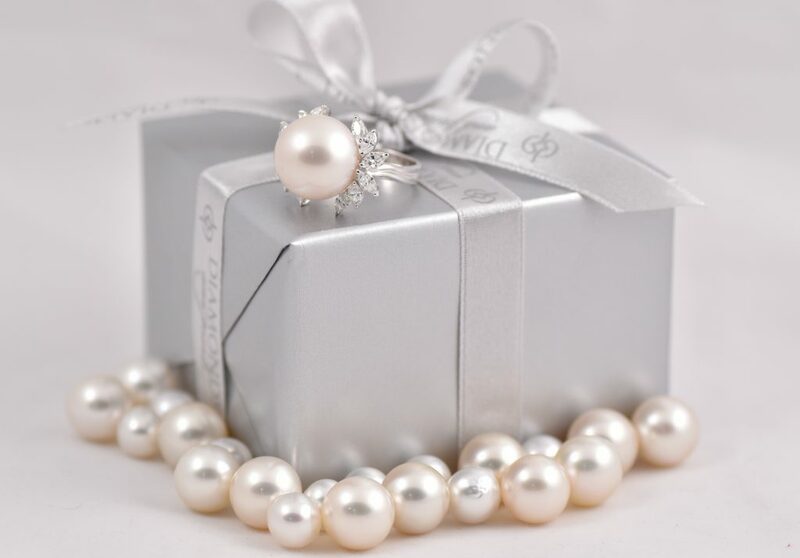 Here at Diamonds And Pearls, we (surprisingly ;) love pearls! If you are born in the month of June, you are very lucky because pearl is your birthstone. Pearls are very special because they are the only gemstones produced by living creatures. When an irritant, such as a grain of sand, gets lodged in the shell of a mollusk, layers of nacre are then formed around the irritant as a kind of defense mechanism, which then build up over time producing a pearl. Natural pearls formed this way take years to produce a good sized pearl, which is why most pearls are now cultured to speed up the process. Cultured pearls are formed in the same way, however rather than a irritant getting lodged into the mollusk, a shell bead is inserted and then covered in layers of nacre, making the process much quicker. South Sea – Saltwater cultured pearls from oysters in Australia, Indonesia and the Philippines, they range from bright white to a golden colour. Tahitian – These saltwater pearls are cultivated around the islands of French Polynesia, mainly Tahiti, these pearls are often referred to as black, but their colour ranges from creamy white to regal greens, iridescent peacock and deep black. Freshwater – Pearls produced from mussels in freshwater lakes and ponds, usually from China and the US. Their naturally occurring colours include, white, cream, yellow, orange, pink and purple. Akoya – Saltwater cultured pearls produced in Japan and China and are mostly white to grey in colour with pink or silver hues. 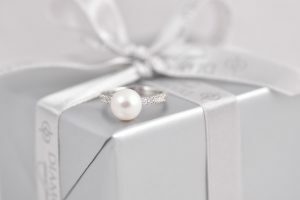 Pearl is also the gift for the 3rd and 30th year wedding anniversary. Shop our pearl jewellery here. Like the rings in our feature images? Shop the south sea pearl and diamond set ring (above) here. And the south sea pearl and marquise diamond cluster ring here.